The Gageline transducers are suitable for all dimensional measuring tasks during production. 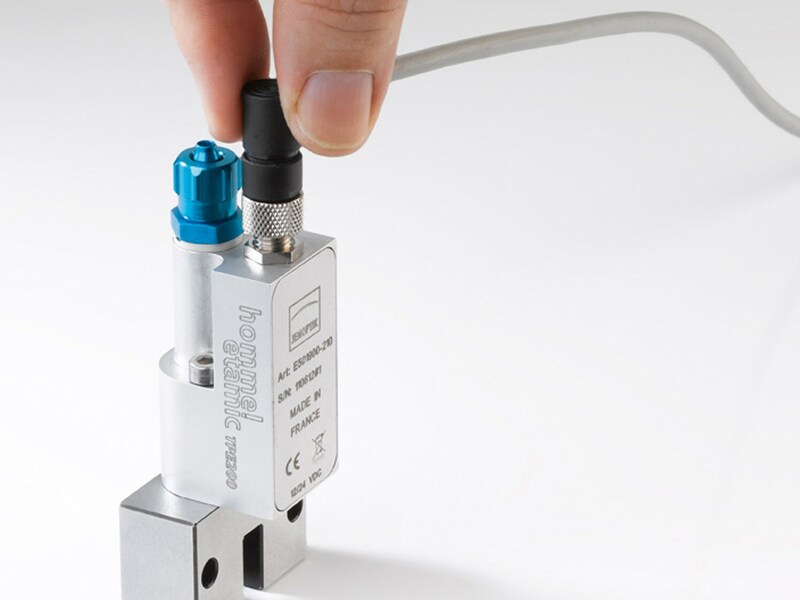 The operating principle behind the Gageline TPE200, TPE99 and ARC400 pneumatic-electronic transducers is protected by two international patents. With a response speed of down to 15 ms (optimum performance) and measurement noise of down to 0.1 µm, the TPE200 transducer is extremely fast, reliable and precise. The TPE99 and ARC400 PE converters also respond very quickly at a maximum speed of up to 30 ms. You can use these instruments for a wide range of applications. They are also perfect for use inharsh industrial environments because they are especially robust. The operational stability of these transducers represents another key feature: They are capable of detecting whether the supply pressure falls below 2.5 bar and if so will switch off automatically. These instruments also compensate for pressure fluctuations, saving you the additional cost of investing in a precision pressure regulator. Both the TPE99 and the ARC400 can be connected to other converters. In contrast, the TPE200 is best suited to high-precision measurements, to rapid, dynamic measurements and generally anywhere that space is limited. This instrument can even be mounted directly on the gauging components. The transducers can essentially work with all available Hommel-Etamic and Hommel-Movomatic air snap gauges, air rings and air spindles.